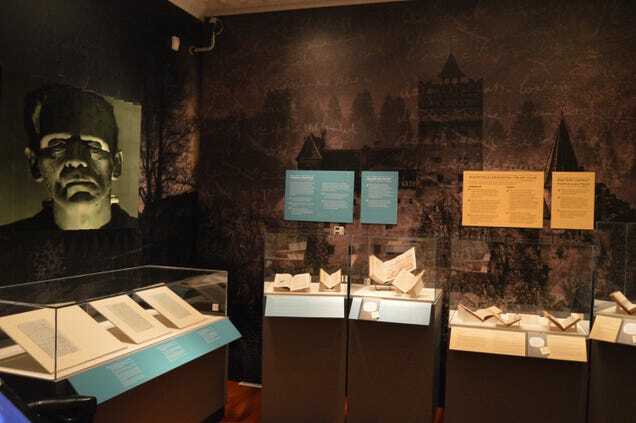 The Rosenbach Rare Book Library in Philadelphia has opened a new exhibit of rare manuscripts which examines the science that underpins the intersection of the Gothic and the Monstrous. Frankenstein & Dracula: Gothic Monsters, Modern Science, opened October 13th, and will run until February 11th. You can learn more here, here, here, and here. This entry was posted in Elsewhere, Exhibits & Events and tagged libraries, year without a summer on December 6, 2017 by Jacqueline Jacobson.